The holidays are coming and that means we need to start thinking about the perfect gift for friends and family members. I try very hard to choose gifts that the recipient will actually use in their everyday life. I have a ton of people in my life that are trying get healthier. With this in mind, I have started looking for workout gift ideas for fitness enthusiasts that may be well received. Have a health nut or workout warrior in your life? Get them something to make their workout safer, healthier, and a lot more enjoyable! And if you know any yoga enthusiasts, check out my post on yoga gift basket ideas before you shop! The best gifts for people who enjoy exercise will really depend on the type of exercise they enjoy. 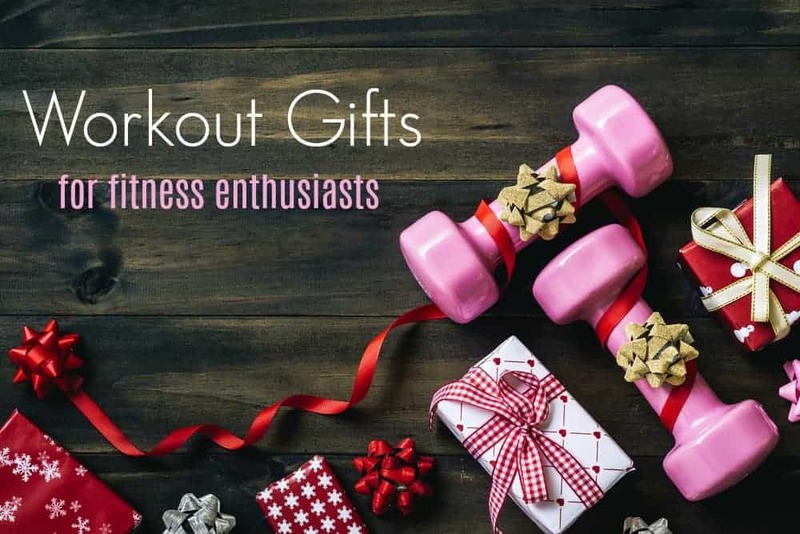 I will try to break down a few of my suggestions into workout categories but some of these workout gift ideas will cross the barrier from one type of exercise to another. And remember, when in doubt, gift cards make great gifts for fitness buffs! When someone is interested in fitness, they usually need to bring along a towel. Generally, they will need more than one workout towel so don’t worry if they already have one. There are some excellent towels out there made from microfiber that also contain cooling fibers to help them cool off if getting hot and sweaty from their workout. It is an excellent addition to any fitness gift basket. 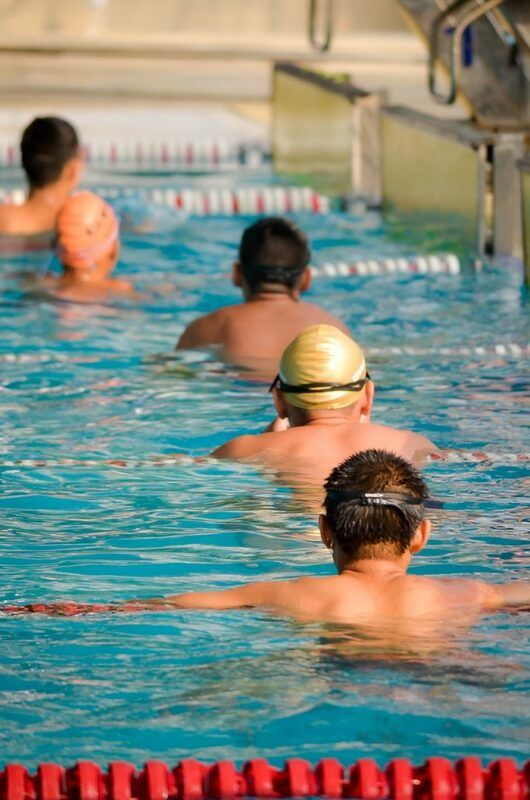 Cooling towels are especially helpful for summer workouts! For someone working out at night, the main danger is that others can’t see them. Aside from wearing reflective workout clothing, they should also wear something on their body that glows. A good idea is to include some LED armbands that will glow in the dark. These are lightweight and just go around their ankles or wrists, making it so others on the road can see them running at night. 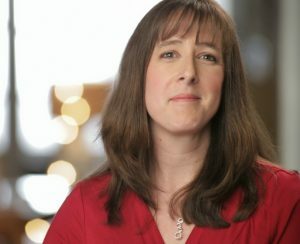 Know someone that not only likes fitness, but often drinks protein shakes? Get them a blender bottle. These bottles have a small blending blade or stainless steel ball inside. Add the powder, water, and other ingredients right to the bottle, close the lid, and shake it up. It is easy to use, perfect for travel, and small enough to fit in a gift basket with other items. Fitness enthusiasts that do outdoor workouts, such as hiking, running, or cycling, might need a good way to carry personal items. An armband with a pocket really is a great purchase. There are now armbands that can hold smaller items they might need, but don’t want to keep in their pockets, such as a cellphone, ear buds, credit card, ID, and some cash. They can also put their house or car key inside the arm band and always have it right there. Have a friend that loves to hike? 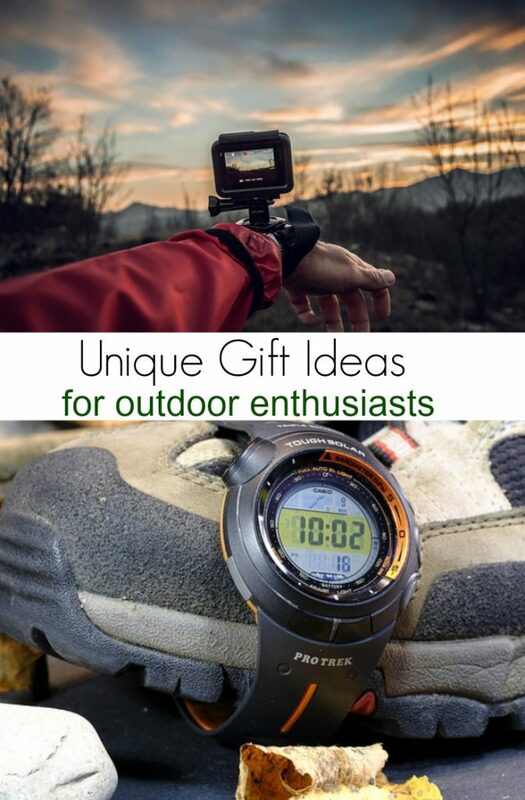 Give them something useful in a hiking themed gift basket. Hikers need to drink plenty of water when they are out, but they can’t always bring big bulky water bottles that are going to add extra weight to their pack. A better option is to get a collapsible water bottle. These bottles are really lightweight, BPA-free, and better for the environment. As long as the hiker also has something with them to get clean water from lakes and streams, they can add the clean water to the collapsible water bottle. Get them some water purification tablets, too! When they are done with it, it folds up and fits easily into their pack without added weight. For someone that hikes in mountains and heavily forested areas, one of the main dangers is bears and other wildlife. You might want to include some safety items in their hiking gift basket, such as a bell. These are hiking bells that have a unique sound to scare off bears specifically. The bell can be put in their pack or on a string around their neck so that it is available in a hurry. Not only are there collapsible water bottles, but the same thing with wine bottles. 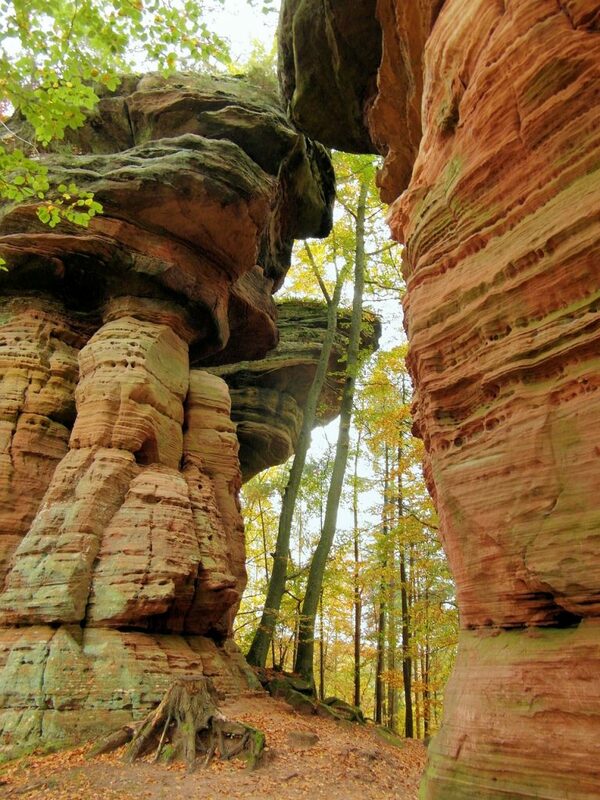 If your friend is someone that likes more casual hikes just to catch the scenery, they might decide to set up picnic with a loved one or close friend. The foldable wine bottle lets them pour wine into this bottle, bring it on the hike, then fold up the bottle when they are done and put it in their pack. When the hike is over, they are saving some weight in the pack, which is always welcomed. Looking for good workout gifts for runners? Whether they run for weight loss, fitness, or stress relief, they will likely enjoy a a few of these gift ideas for runners. Check out my post on how to care for feet that work out regularly and maybe share it with them! 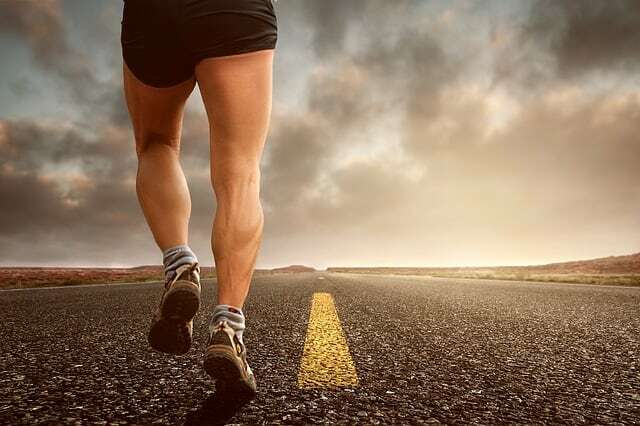 One thing most runners have in common is having sore and tired muscles. There are a few different types of massage gifts you can give to running enthusiasts. One of the best gift ideas for fitness enthusiasts that I can think of is items to use for home massages, such as muscle rubs or a handheld massager for their neck and back. If you are short on funds, check out my DIY massage oil and make it from scratch! Your friend who is a running enthusiasts may like to listen to music while they run. Regular ear buds often fall out during a hard workout. Get them ear buds meant specifically for working out. They have a unique design that wraps around the ear to be held into place. With the workout earbuds, give them other audio accessories, such as an armband that holds the phone in place. Every runner should have a high-quality running belt. You don’t want to go running with your car keys and wallet in your pocket, right? Running belts aren’t like a big bulky fanny pack that slides around and bounces up and down while running. They are designed to remain in place, be lightweight, and not get in the way of the run. 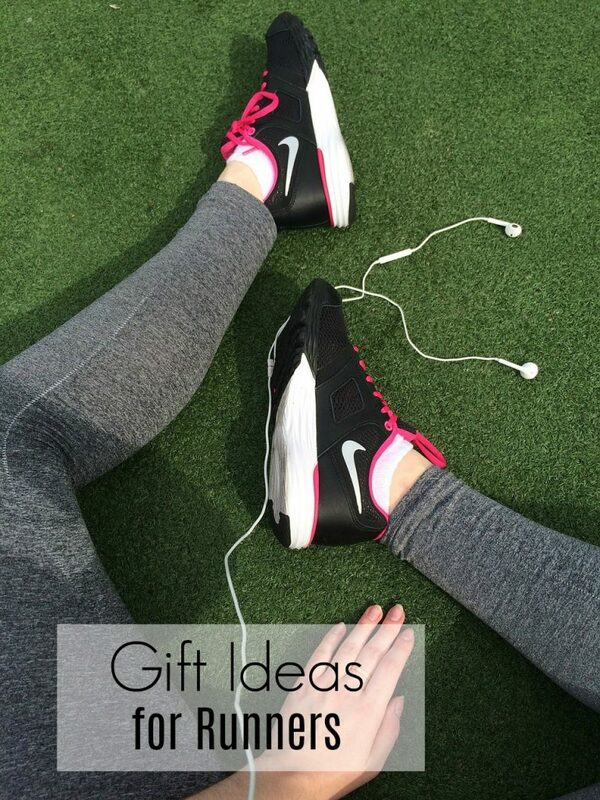 If you are looking for gifts for people who love to exercise, this one is incredibly helpful! This might seem like a weird item to put in a gift basket, but it is actually really helpful to a swimmer! They often need to wash the chlorine out of their hair. Give them some chlorine-removal shampoo and save them a small purchase and an extra trip to the store. Need gift ideas for fitness enthusiasts who spend a lot of time near water? A swim bag is a special bag or backpack with separate wet and dry areas. This keeps wet bathing suits away from cell phones, money, and other items that shouldn’t get wet. An underwater camera is excellent idea for anyone who loves the water. There are plenty of inexpensive cameras that are waterproof and easy to use. If you have a slightly larger budget, a Go Pro or similar device is a ton of fun. Another thing every swimmer needs is a really good towel. Choose an oversized, soft, and plush towel that will get them dry but also be warm if it is cold when they get out of the pool. You can personalize it with anything from pictures to their name or even a quote they are often repeating. There are a lot of different directions you can go here. 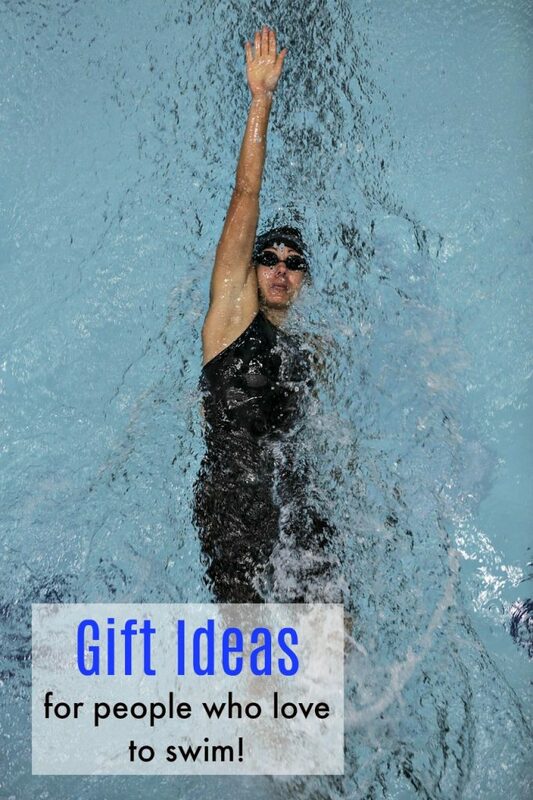 With a swimmers’ gift basket, you just need to think about items they could use for the sport, whether fun, practical, or custom-made. If you are looking for something unique for your fitness lover, think outside the box. Do they need a running partner? Make them a homemade coupon book good for 5 sessions of you running with them! 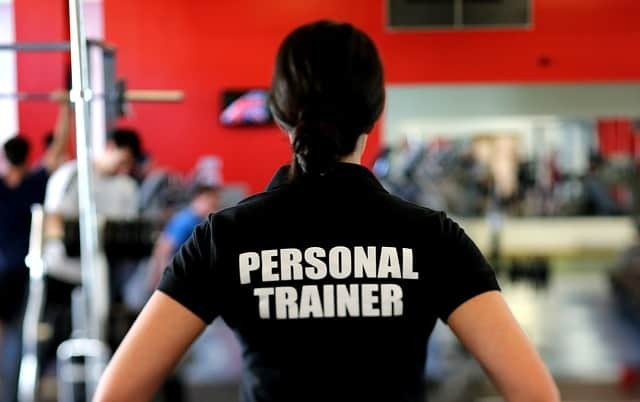 Or, consider finding them a personal trainer to help them get in shape. A gym membership makes a great gift idea as well. If you know someone who loves to work out, put together a healthy gift basket for them and encourage their passion for healthy living! 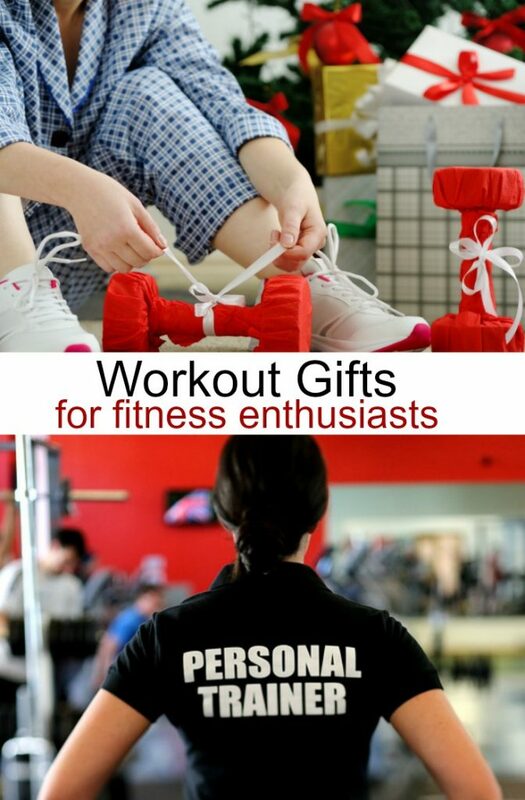 What other workout gifts would you give fitness enthusiasts?